If you have a mole that is slightly larger than other moles and has irregular borders, you might have an atypical mole. According to the American Osteopathic College of Dermatology, at least one in 10 people in the U.S have an atypical mole. Because an atypical mole can sometimes indicate melanoma, a type of cancer, it is important to have your mole examined by a professional as early as possible. Dr. Clarence Wiley, Sr. is a board-certified dermatologist who has been in practice for over 35 years. Whether you want to have a mole removed in order to improve your appearance or comfort, or if a mole is cancerous, he can perform mole removal at his practice in Oklahoma City to meet your needs. If you have moles that are discolored, have an unusual shape, are irritated, or have changed, you should have them examined by a dermatologist. 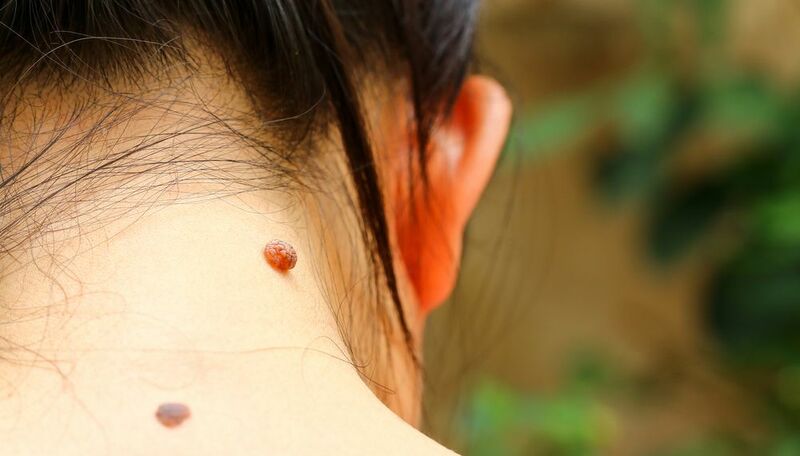 Moles, also called nevi, are commonly caused by excessive sun exposure or genetic disposition. Moles are more common and apparent in patients with fairer skin, but since they can also affect patients with darker skin tones, we encourage anyone with irregular moles to schedule an exam with us. It is important to have an atypical mole evaluated by a professional dermatologist because patients who have ten or more moles are 12 times more likely to develop melanoma than others. Mole removal is an outpatient procedure, meaning you can go home on the day of treatment. Before performing a mole removal, Dr. Wiley will conduct a biopsy to determine if the mole is cancerous. After removing a part of the mole, the sample will be examined under a microscope to determine if there are any abnormalities or melanoma present. On the day of your mole removal, Dr. Wiley will clean the area and numb the skin with a local anesthetic. He will then use a scalpel to carefully excise the mole. Because of the local anesthetic, you should not feel any pain during the removal, although you may feel some pressure. The treatment area will then be sutured closed and covered in a bandage. Dr. Wiley can usually complete the process under one hour, although the actual time will vary depending on the size and depth of your mole. The greatest benefit of mole removal is that it can potentially save your life. The length of your recovery will depend on the size of the mole that was removed. During recovery, you might feel some itching or soreness. Our team will instruct you on how to keep the area clean and free of infection. If you need sutures, you will return to our office in two weeks to have them removed. Prior to your mole removal, we will explain what you can expect in terms of scarring. The greatest benefit of mole removal is that it can potentially save your life. Although melanoma spreads quickly and is potentially life-threatening, it is very treatable and has a very high survival rate if treated early. According to the Skin Cancer Foundation, the survival rate for patients with melanoma who are treated early is 99 percent. Some patients want to have noncancerous moles removed to improve their appearance or physical comfort. For example, if your mole was located in an area along your neck where your collar caused constant irritation, removal can provide immense relief. If your mole was located in an extremely visible area, removing it can help you feel less self-conscious. If you have an irregular mole or have noticed a change in a mole, it is time to speak with a dermatologist. To schedule a consultation with Dr. Wiley, request an appointment online or call Beauty Thru Health Dermatology, P.C. at (405) 278-7911.